Today’s brands are too uptight and need to ‘unbrand’ if they’re to have a hope of meeting dynamic and changing consumer expectations, a leading Gartner analyst says. Speaking at the Salesforce Connections event, Gartner research VP for digital marketing and writer, Marty Kihn, suggested every modern brand is in the entertainment business and should therefore structure their story around the hero’s journey, much like Hollywood does. The concept of creating a narrative centred around a hero character was first outlined in the 1970s by Joseph Campbell in his book, The Hero’s Journey. “The hero’s journey is a lot like the customer journey: In this story, the hero is the customer. But there’s a hitch: As brands, you have a lot of customers and you have as many journeys as you have personas,” Kihn told attendees. “Another challenge is brands today are designed too rigidly. They’re not flexible enough to handle the complexity of the digital journey. In films, this progression is not always linear, but Kihn insisted this was much like how customers go through phases with a brand. “So you need to start by assembling your team and going into the depths of the customer journeys created against all your personas and customers. A brand framework is distinctly different to the way brands have historically been defined, Kihn argued. Commonly, brands will work to articulate themselves by devising a mission, vision, values, then undertaken ethnographic research and panel studies to figure out their distinctive white space. From there, they come up with a definition of what the brand means differentiated against the competition. “It’s extremely prescriptive. It’s precise and works if you’re doing a big national TV campaign. But if you need 50 versions of creative, that’s not so successful,” Kihn said. In contrast, successful modern brands such as Google and Taylor Swift are almost “blank spaces”, Kihn claimed. “They don’t have any edges. What do we really know about Google? Not that much. It can adapt to almost anything,” he said. “Google’s vision is to organise the world’s information. Who doesn’t? What does that really mean? “Then there’s Taylor Swift. What is Taylor Swift? Who is she? What political view does she have – left or right? We don’t know. I’d argue she is whoever you want her to be. 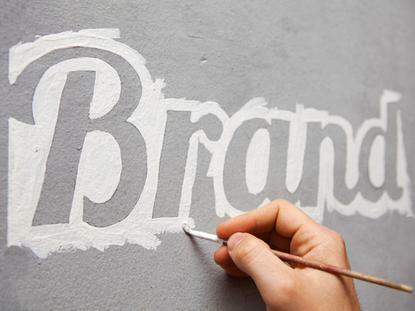 Kihn attributed this necessary shift to media changing the nature of brands and branding. “People are living in their own realities without really knowing it. We curate our consumption of news, social feeds, or sometimes it’s curated for us,” he said. To build such a framework, you still need a purpose and brand preferences, Kihn advised. “You can’t to do analytics to an individual – one-to-one doesn’t exist. This is against personas, and you should have as many personas as you can use,” he said. Kihn described a persona as a data-driven sub-segment of the customer prospect list or database identified using analytics. This person becomes your brand hero. “If you have enough content to serve two personas, you have two personas. If you have three personas, unless you’re planning to ignore the third one, don’t do it, there is no point,” he said. Given every tribe is different, a brand’s consumer messaging needs to be different, and for this, Kihn advised brands to use different platforms and have different requirements. “Respect these differences – don’t force them to be on the same journey,” he warned. Supporting such creation and execution of a brand framework meanwhile, is a customer data engine. The biggest problem most brands face today is not having data in the shape they can take advantage of, Kihn said. In addition, organise your analytics into an analytics centre of excellence in order to optimise against that experience, Kihn said. “You’ll guess at first and figure out your best hypothesis. Then analytics comes in at the back end to optimise your guesses, to see what works and what doesn’t,” he said. And as far as creative goes, there are no rules. Kihn labelled dynamic creative as the new frontier. “Dynamic creative optimisation in advertising and banner ads are a hint of what’s to come,” he said. “However, any creative asset can be broken into elements. And today it’s being executed in ways that are uninspiring – mostly swapping out product information. As an example, Kihn noted Absolut’s advertising, which reflects what a consumer has interacted with each time they interact with a digital ad unit. “You cannot create all the assets from scratch, put them in a DAM, then point to them. You have to create little pieces of assets that will be assembled and reassembled as needed,” he said. “Your brand has a look and feel, image library, certain language forms that are on-brand and off-brand language, and you pick and choose based on person you’re trying to content.